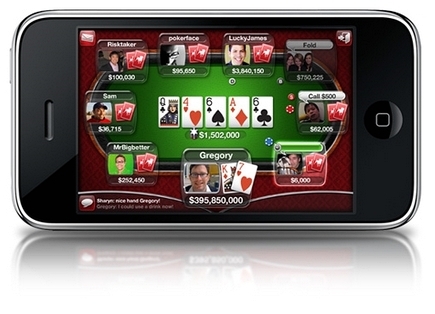 Zynga has launched the new version of “Live Poker” which supports Facebook Connect available for iPhone users. This new version will allow “Live Poker” gamers to login via iPhone with their Facebook Account and play Poker Game with their Facebook Friends. Facebook Connect which was recently launched for iPhone and iPod, will help Facebook users to see their rank in the Games played with their Facebook friends. Live Poker uses Facebook Connect Platform to reveal the online status of Facebook Users who are playing the “Live Poker” game. This will help Facebook users to interact and share gaming scores with their Facebook Friends. The best part is that there are “New Gifts” and “Fewer Crashes!” in the new version of Live Poker. iPhone users can download Live Poker for free from App Store.